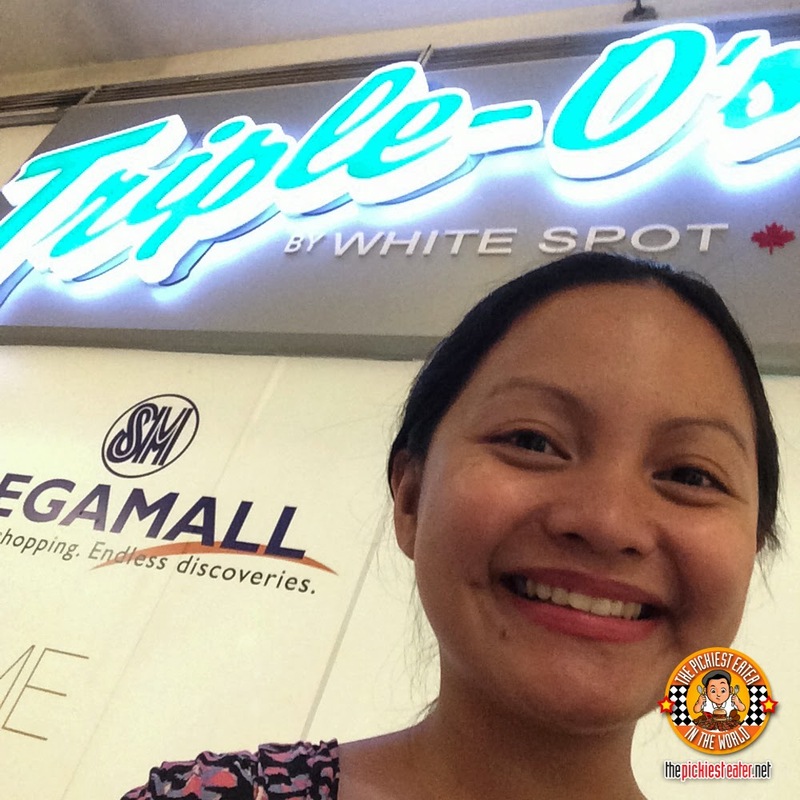 THE PICKIEST EATER IN THE WORLD: TRIPLE-O's BY WHITE SPOT NOW IN MANILA! I haven't been to Canada, not even for a short while. So honestly I wasn't familiar with Triple - O's By White Spot, which is Canada's very first drive-in restaurant. But guess what? Triple - O's by White Spot are are known there to make legendary burgers. I checked out their official website in Canada and I got really excited (see for yourself here). The good news is, THEY'RE NOW HERE IN MANILA! 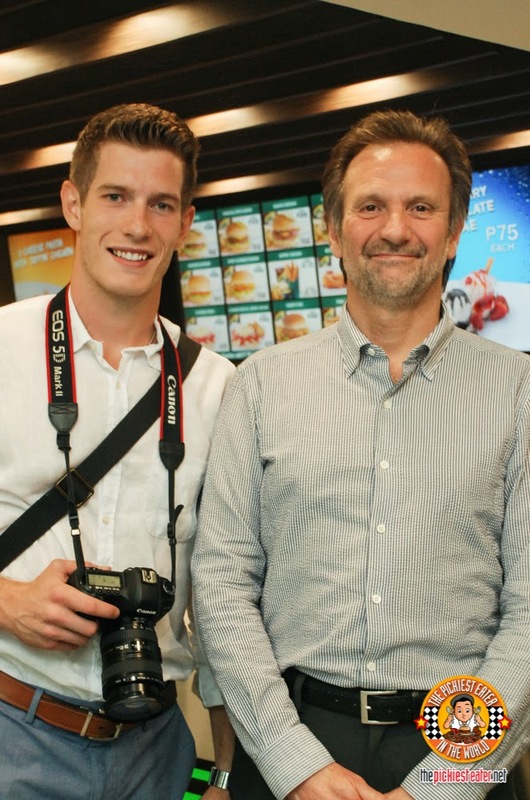 It was so cool to see Peter Toigo, the owner himself of White Spot, along with the President and CEO Warren Erhart, came here to check the new Manila branch! They're all very nice by the way! They loved talking to everyone! So down-to-earth! Executive Chef Danny Markowicz was also there to oversee that the burgers were done perfectly! 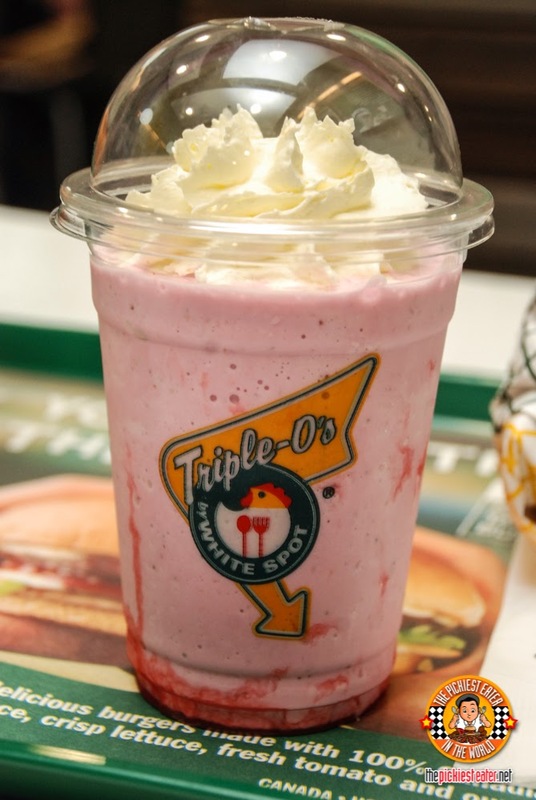 The name ‘Triple-O’ was started way back by carhops at the old drive-in. Order slips were printed with X’s and O’s for toppings. X meant hold / don't put, while an O meant extra / add. And ‘Triple-O’ meant plenty of everything! 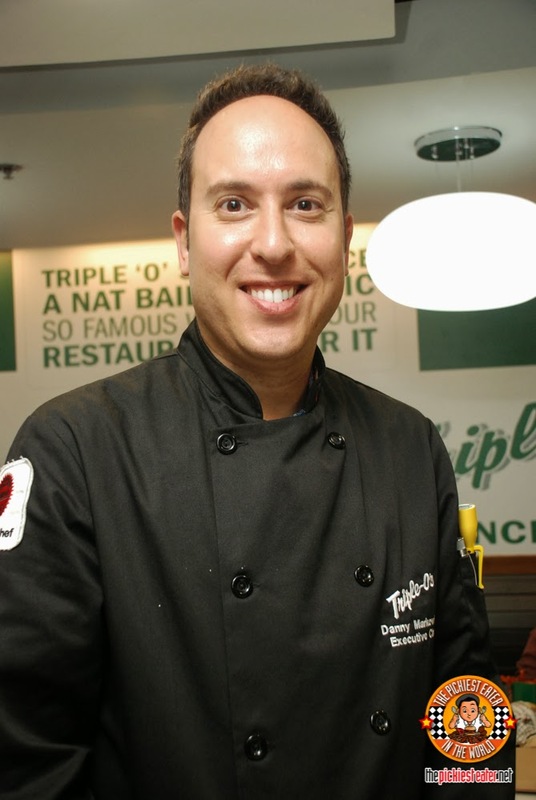 When you go to Triple-O, you will meet the Triple-O secret sauce. Only a very few people know it, and have sworn never to reveal it no matter what happens. A lot has attempted to copy but never succeeded. The first Triple-O’s international branch is in Hong Kong which opened last 2005. Now, there are 12 locations in Asia, with a total of 65 locations! Huge!!! It's a fast food style restaurant. The place is pretty small. If I'm not mistaken it can fit about 40 customers comfortably. 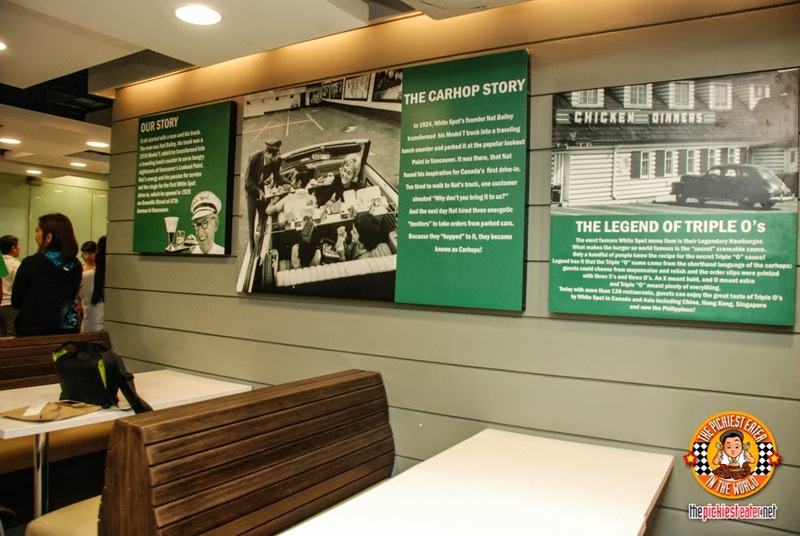 By the booths, you'll see a short history about Triple-O's. Interiors are pretty simple and clean yet has a touch of modern yet homey feel. Anyway, it's time to order! 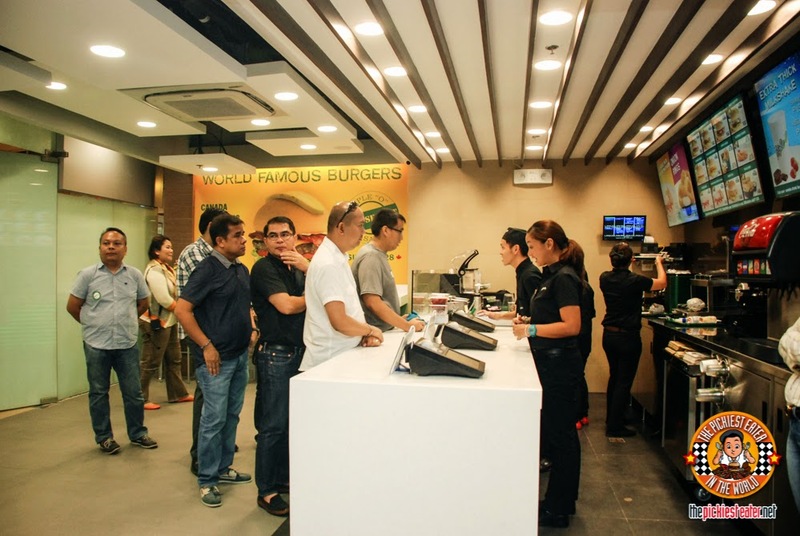 Line up by the cashier and the Triple-O's friendly staff will take your order. They'll give you your receipt with the number written on it. So keep the receipt! Not too long after, the staff comes with a tray of food and will yell out the number of that order. This is when you need to check your receipt and raise your hand if that's yours. I'm not sure if this is how they do it in Canada or the other branches, or if they will be changing it here with the usual number stand. Anyway it won't be inconvenient as long as you KEEP YOUR RECEIPT! Hehehehe. Staff are so friendly by the way! Here's my order!!! 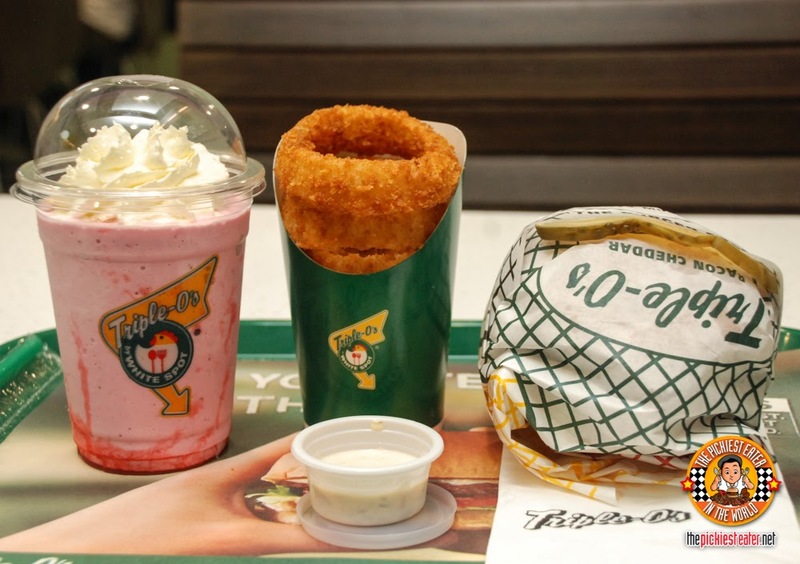 A strawberry milkshake, onion rings with triple-O special sauce, and my Monty Mushroom Burger! It all looks so good! As you can see, there's a dill pickle on top separated by the wrapper. 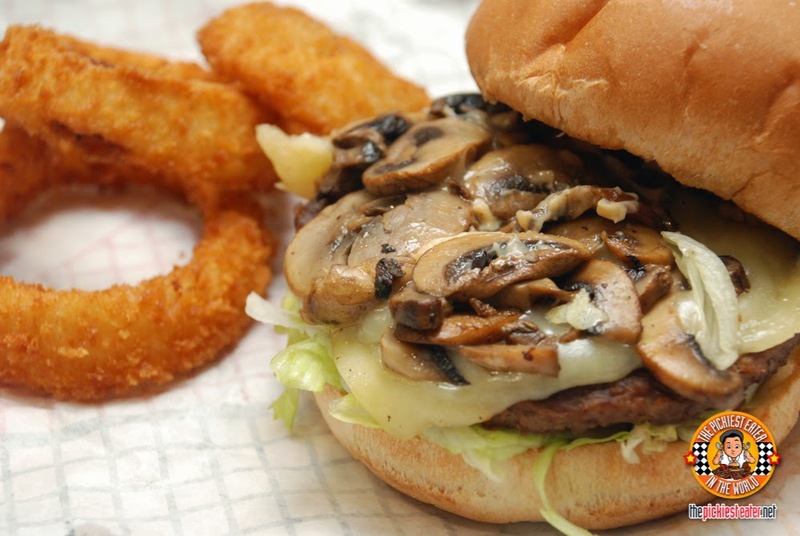 This is Triple-O's signature burger presentation. Unique! I ordered the Monty Mushroom first of all because Jin from Jin Loves To Eat commented on my Instargam that this was really good. 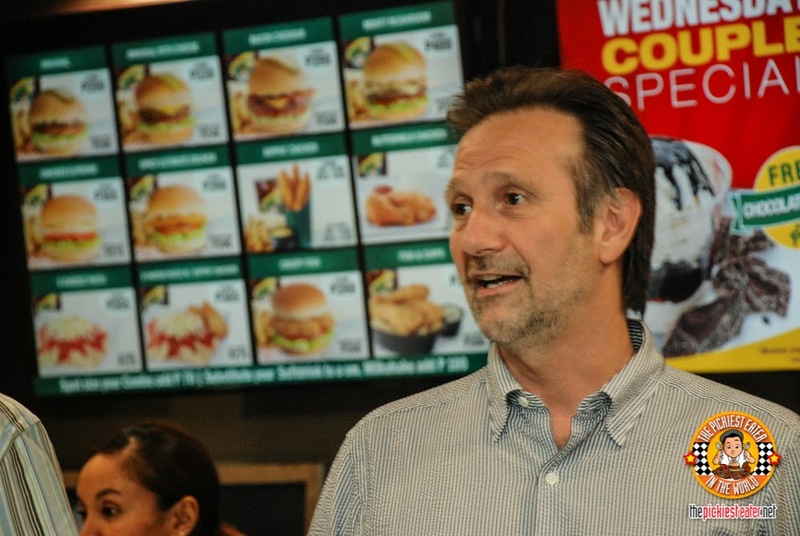 And then I asked the staff which of the burgers is their best seller. And he said the same thing. Monty Mushroom. So there. 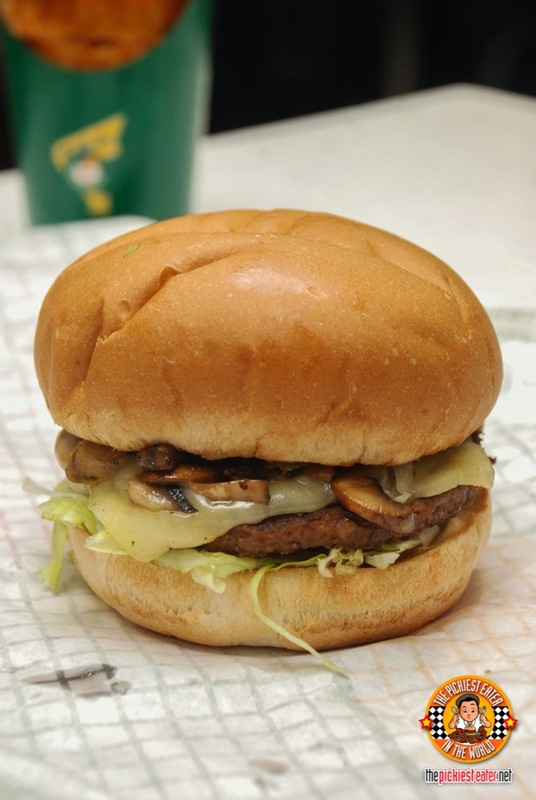 It's 100% fresh and grilled Canadian beef , with Monterey Jack cheese, lots of grilled mushrooms, crunchy lettuce, tomato, and the wonder that is the Triple-O's special sauce. That really adds magic to their burgers! Here's a more close-up look of the Monty Mushroom. Remember how Triple-O's meant plenty? Well, this really had plenty mushrooms! And it was huge! For me anyways. I remember putting an effort in opening my mouth really wide just to get my first bite. 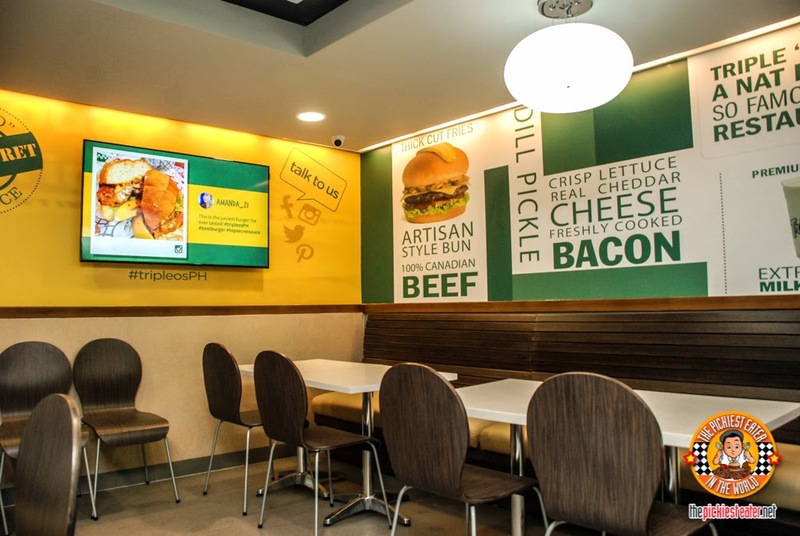 Triple-O's only use 100% meticulously grilled Canadian beef which is said to be kind of better compared to its American counterpart because allegedly, Canada has a more strict screening when it comes to beef standards as well as food safety. And the taste? In my opinion, very good!!! I love how huge and tasty it was without it being too heavy on the stomach. I finished it all even though I was only 50% hungry at that time. Seriously! 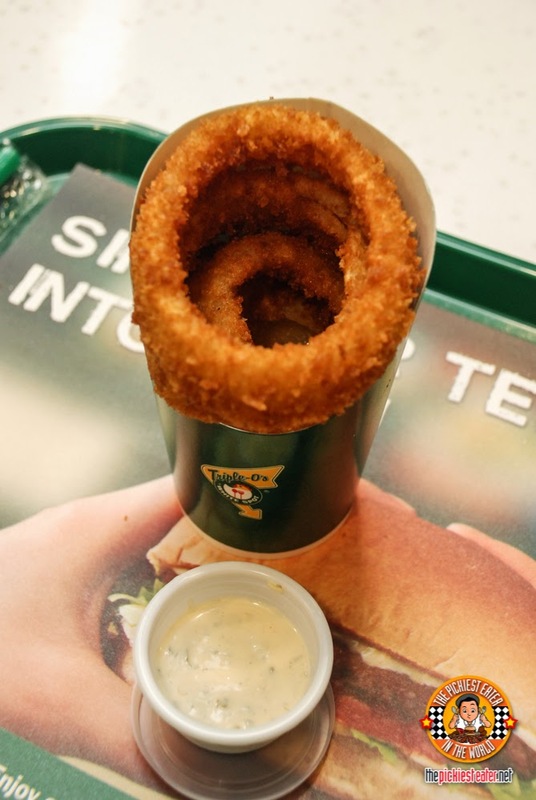 The onion rings were huge and looked really good. 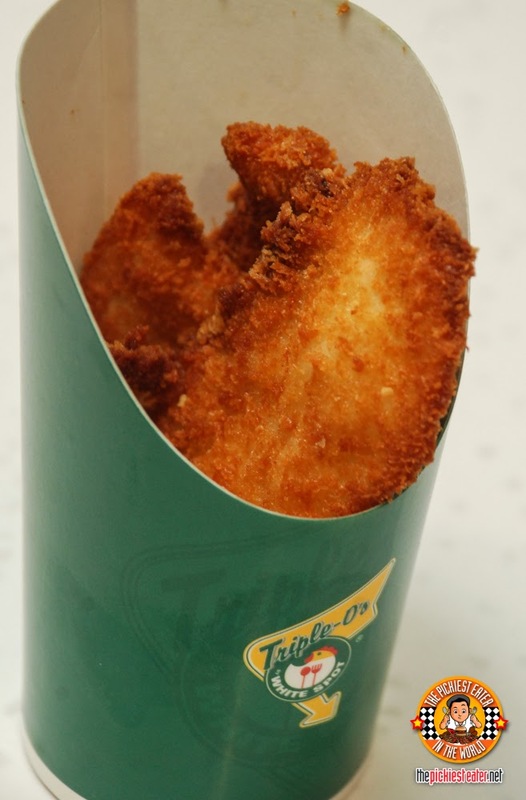 Golden crispy goodness! But don't forget to dip it on the Triple-O's special sauce! My strawberry milkshake was not as heavy as I was expecting. 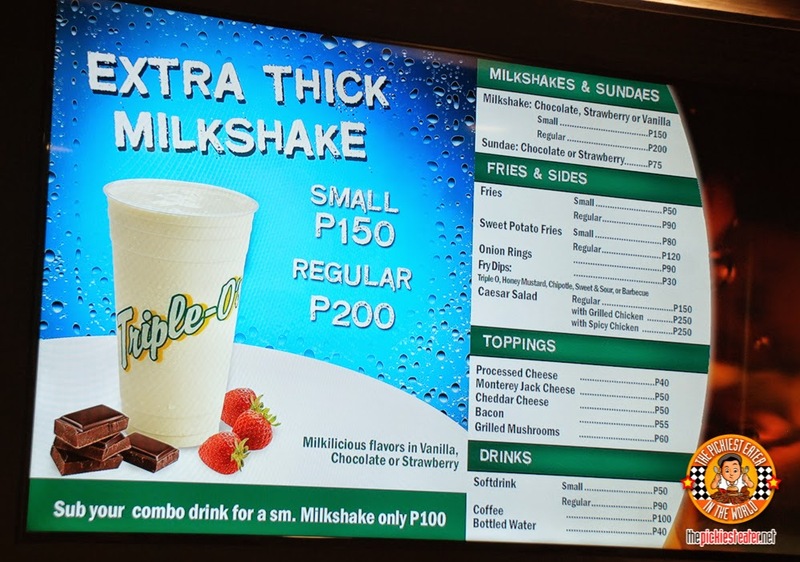 The reason why I don't usually order milk shakes is because they can be too thick and too heavy. This one for some reason wasn't too heavy on the stomach. It was actually refreshing! Again, I finished the whole thing. I was supposed to order this Bacon Cheddar but I really wanted to try their best sellers first. 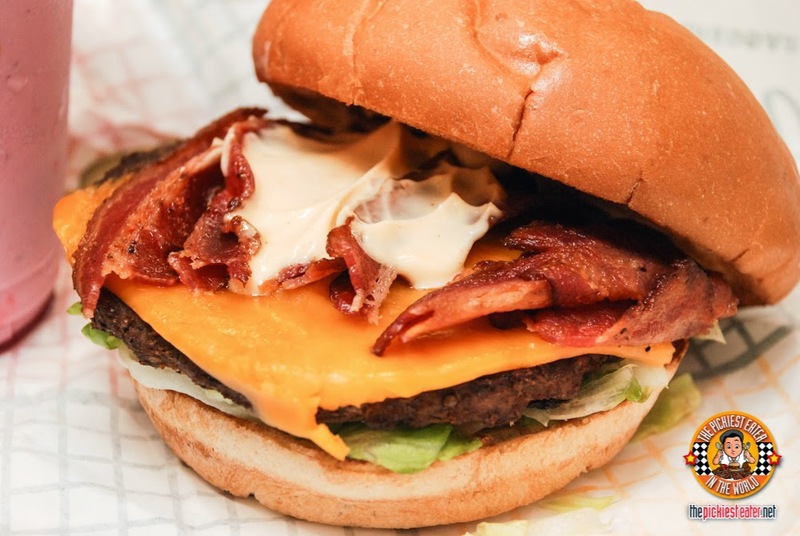 Anyway, this Bacon Cheddar is 100% fresh and grilled Canadian beef patty, with crispy bacon, melted cheddar, crunchy lettuce, tomato, Triple-O's special sauce, and of course the signature dill pickle on top. And to fit the Filipino appetite, they made sure to include a chicken and rice item. 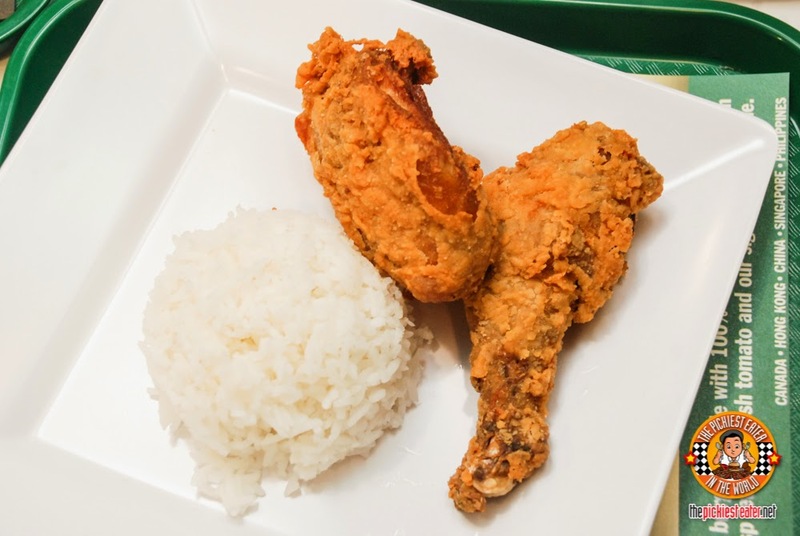 This Buttermilk Chicken is served with rice, 12 oz soda, and Triple-O's special sauce. 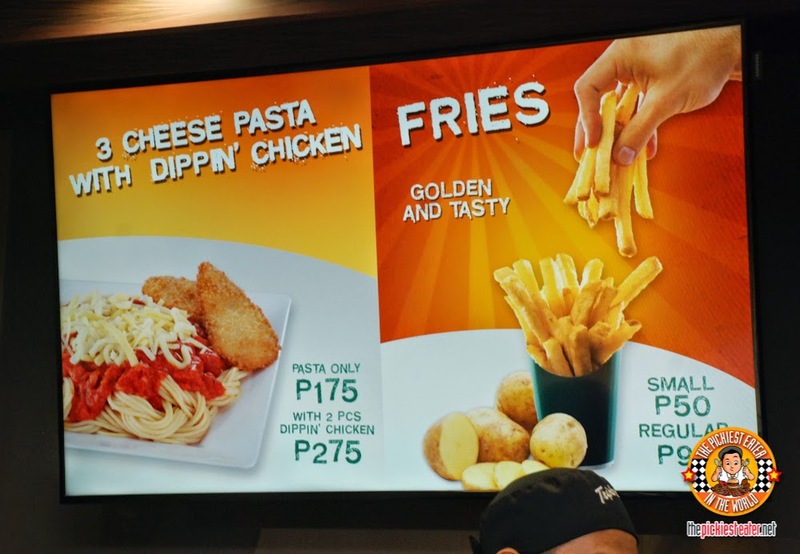 This is the 3 Cheese Pasta with 2 pieces Dippin' Chicken. 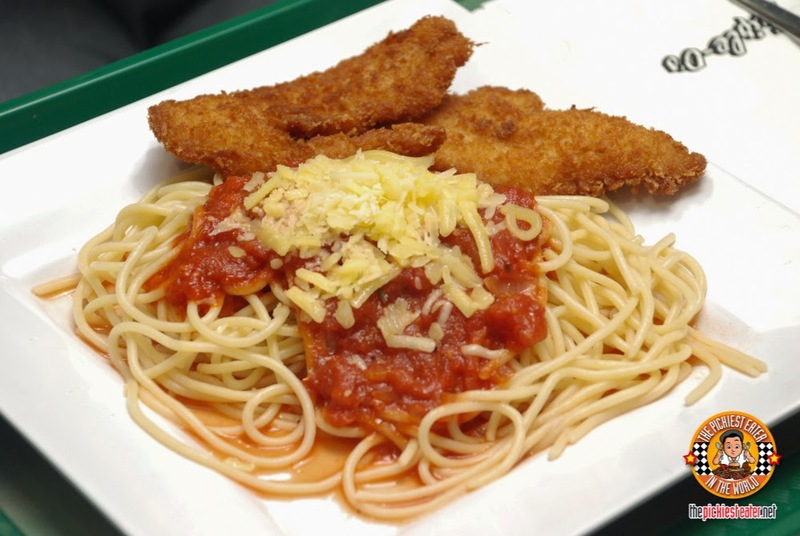 The pasta is more Italian style with caprese sauce, three kinds of cheese namely mozzarella, cheddar, and parmesan. It's not your usual spaghetti! So if you're ready to try the "sauciest. 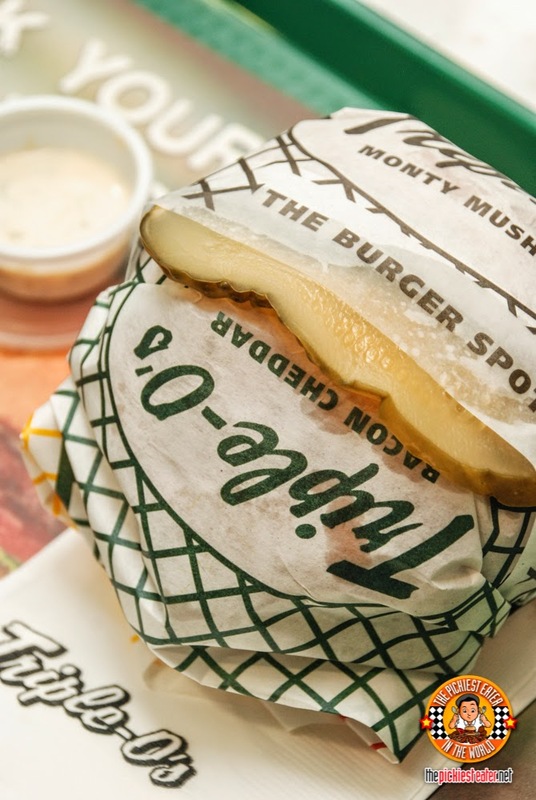 juiciest, tastiest best-est burgers around" from the Great White North, head on over to Triple-O's first ever branch in Manila! Open to the public starting TODAY! Tried their Monty Mushroom, Dippin Chicken and Chocolate Shake. 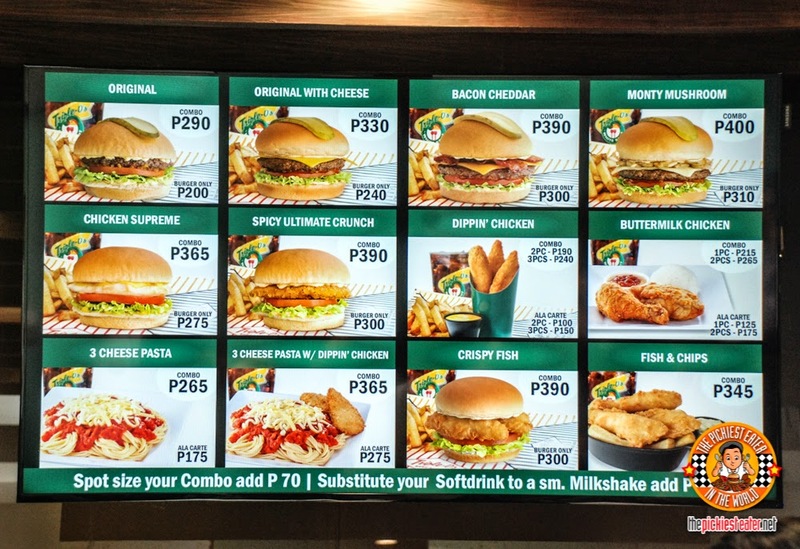 They're all good, especially the burger but I agree with the previous comment - they have to adjust their prices to compete with the local market. This made me crave. I'm drooling now!